Escondido, CA – To fulfill an expanding roster of large-scale events, and to capitalize on rapid market adoption for the entire VUE line, Santa Fe Springs, Ca.-based Harmony Event Productions (“Harmony”) recently added a significant amount of VUE gear to their arsenal, including an extensive al-12 large-format line array system. 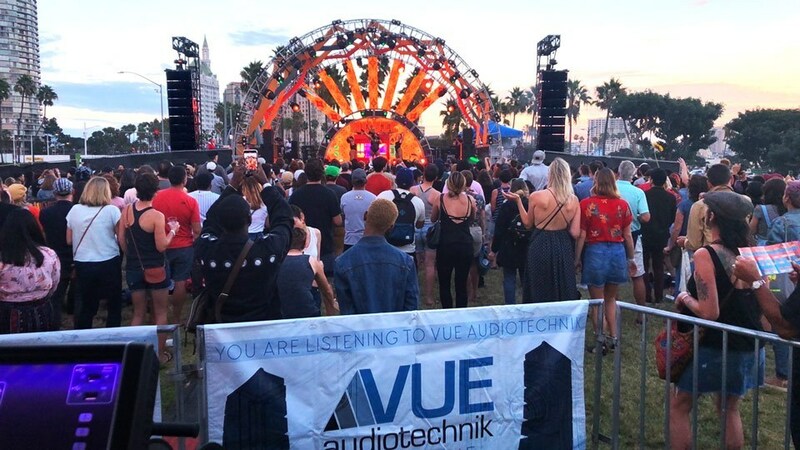 Harmony debuted a portion of the new system at the third-annual Music Tastes Good Festival, a two-day music, food, and arts showcase in Long Beach, Ca. on September 28-30, 2018. For more information, visit www.harmonyeventproductions.com.